When we started syncing bookmarks, we found that many of you had duplicates of the same URLs. Some extreme corner-cases reached more than 1000 duplicates. We debugged a lot of the sync protocol and considered many different scenarios, but we didn’t get any closer to a solution. Therefore, we introduced a duplicate-removal tactic in Opera 35. When you aren’t signed in and syncing, the algorithm is pretty straightforward: we pick candidates for the duplicates removal based on their ID in the bookmarks model. If you are syncing, things get a little bit trickier because we cannot remove duplicates until they known to the server. Otherwise, we introduce duplicates again. We figured out a solution, and to consider any possible performance drawbacks, we tested it on Windows XP Core 2 Duo machine (our sysadmins hate us for doing that, since it is not officially supported). We saw in our logs that duplicates are no longer an issue. Thank you very much for helping us figure out problem and let us know if you’re still seeing any duplicates. We know that many people prefer to use a separate search box. But, we’re taking it slow and testing to see if we want to enable this option by default. 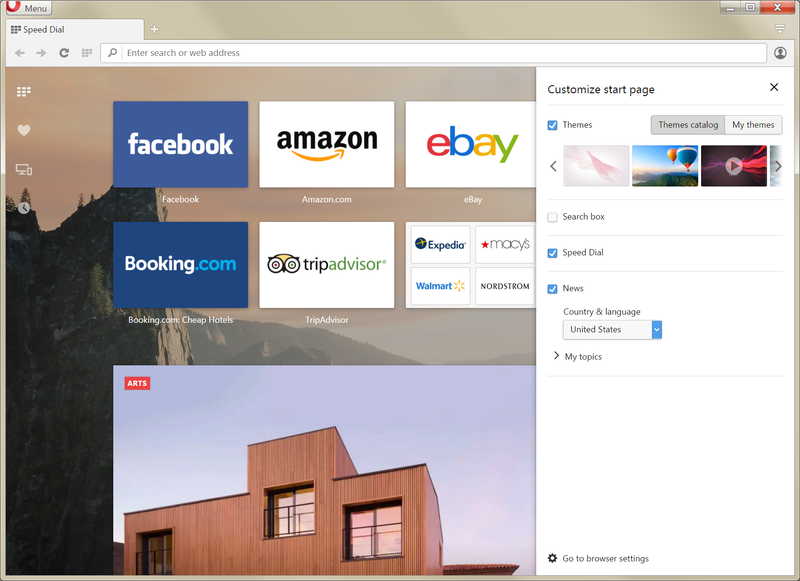 In Opera 35, the search box appears as an advanced setting. If you enable it, the separate search box will appear next to the heart button in the browser chrome. I’m unsure whether advanced users need it, but now you know where to find it. Tell us what you think about the box and we’ll weigh you opinion with our tests to see if we start providing this by default. The settings page is the third-most visited internal page just after Speed Dial and history. With testing, we saw that many people visited the settings page to personalize browser according to their tastes. 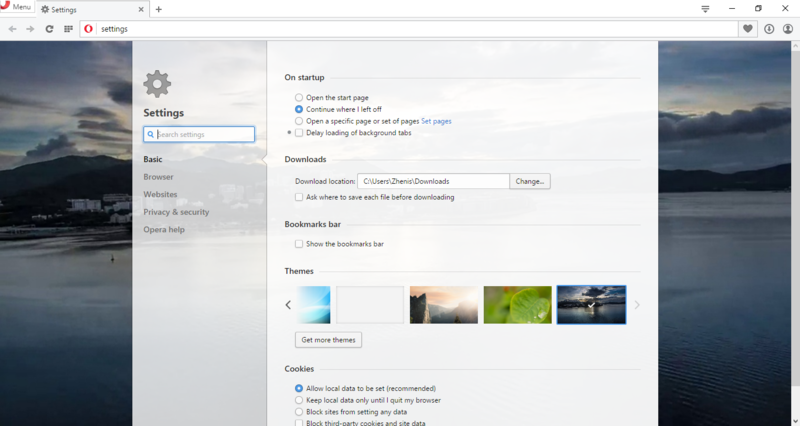 So, we introduced a “basic” section in Opera 35, where you can decide about browser’s behavior on startup, how downloaded files will be saved, change your theme and more. We believe that simplicity matters and the current settings page has become too complicated. Therefore, we’re hoping to make it easier to use. Check it out. I’ve seen many of you joking about the recent change of the menu name from “Opera” to, well, “menu”. We know that this change makes no difference to our loyal users, but when people install our browser for the first time, it does. Instead of enigmatic word that states our brand, the term “menu” describes the feature itself. We saw that many more people clicked on the menu when it was labeled “menu” instead of “Opera”. It’s similar to the change we made from our previous Discover feature to the more generic and function “news”. Joking aside, small improvements like how we talk about the browser make a difference for new users. 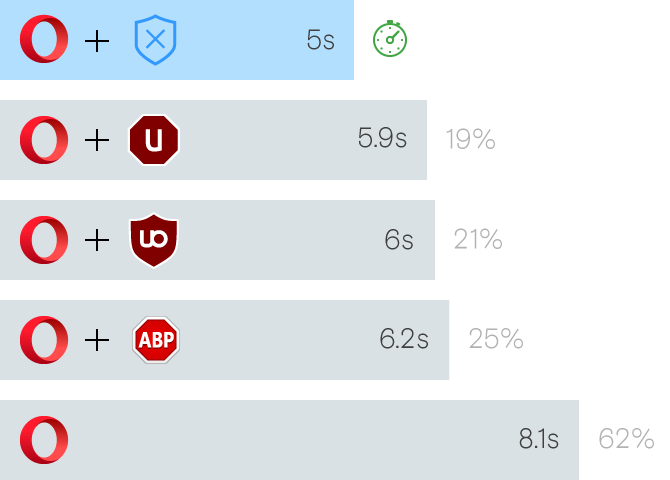 So, we made another simple change: when you install Opera, we maximize the window on the first run, so you have one less click to worry about before using the app. And, there’s more for new users. Now, it is easier to turn on the bookmarks bar from the heart-menu popup. We saw during testing that many people look there for an option to enable the bar. We tested having the bookmarks bar turned on by default and saw an insignificant difference in the feature’s use. We decided to give you a choice to turn it on, when you need it. We’ve been gradually moving to this API for a while and we’re not changing just to make our lives easier. In Opera 35, we upgraded the download manager to this API and restyled it. It is not just nicer version of the previous one, but it is also gives you quick links to PDFs, documents, images and more. When we talk about downloads, one of the most annoying situations many of you complain about on the blog has to do with closing the browser while downloading a huge file on slow network. Now, Opera will ask for confirmation if you want to close browser when you are still downloading in the background. Many people like me listen to music on YouTube. It plays on an open tab somewhere on the tab bar. All of a sudden, it’s a loud tab. I mean a really loud tab! If you like me, you panic and close the tab. Why should you have to do that, when you actually want the content there? Now, you can easily turn off the sound for this tab using a mute button. There are many more use-cases you provided us during our testing on the developer channel. Based on your feedback and our belief in simple-yet-powerful design, we decided not to show the mute button on each tab (instead, it appears when you hover over the tab) and we removed the main mute button. We made the context menu richer, so when you right-click on a tab with sound, you can mute your other tabs. That’s about it for the changes in this version. If you use Linux, you might be interested in knowing that we are going to provide RPM packages. It’s a small improvement, which hope will make you happier. Let us know how you find the latest Opera beta release. Your feedback makes us stronger.